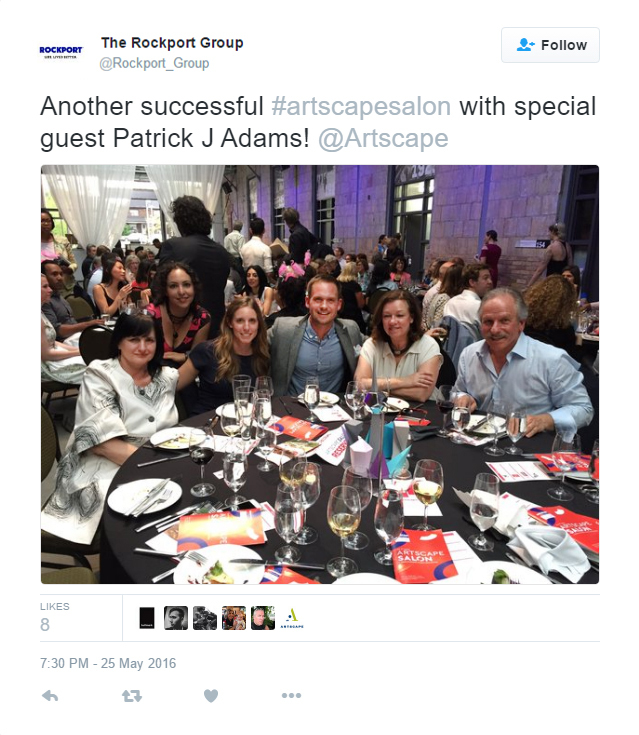 Our 5th annual Artscape Salon, presented by Rockport and Hines Tridel, not only sold out early, but was also our biggest and most successful yet! Over 300 attendees and 32 Featured Guests came to connect with creativity, and did it in style. The dinner-table talk sparked great conversations on how art and the city influence each other. 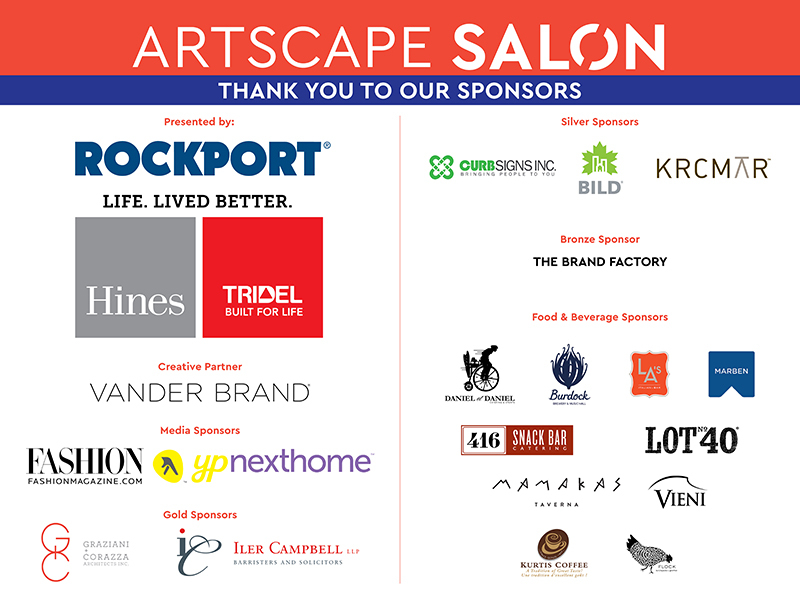 Special and sincere thanks to all of our generous sponsors for making Salon 2016 our best yet. All photos by Mauricio Calero Photography, except where noted. Scroll down for photos of some of the evening’s highlights and a link to the full Facebook album. The fashion-savvy crowd mingled among the crystalline creations of DIY décor maven Kalpna Patel (aka ghostfaceknitta), setting the Artscape Wychwood Barns abuzz as the cocktail reception got underway. We couldn’t have done it without our fantastic Salon Committee members, led by co-chairs Daniela Palmieri, Senior Marketing Manager of Tridel, and Kathryn Randle, Development Manager of Rockport. As guests enjoyed the signature cocktail “Porch Punch” – mixed by Global Whisky Ambassador Dave Mitton and featuring Lot No. 40 – they took in the chill vibes of DJ Sophie Jones and a parade of appetizing hors d’oeuvres by Daniel et Daniel. Meanwhile, our Featured Guests were getting to know each other in the green room. We had time for a quick group shot, before emcee Jeremiah Sparks called them to join their tables. 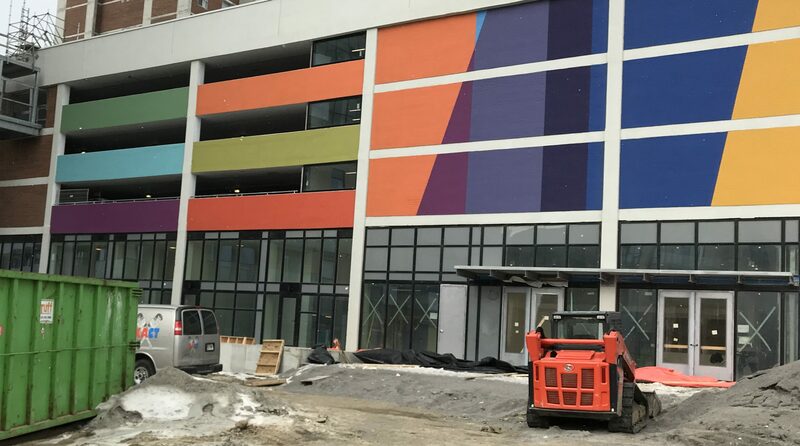 CEO Tim Jones shared some of Artscape’s vision, plans and current projects in development. He called on the audience to take inspiration from conversations happening tonight about the power of the arts and turn them into amazing catalysts for change across our entire city. It was time to get down to business – and dinner! This year’s meal offered a creative array of culinary riches from hot Toronto restaurants Little Anthony’s, 416 Snack Bar, Flock and Mamakas Taverna. With each course, guests were surprised and delighted by the new featured speaker that joined their table to lead them in a rousing discussion with a core theme – how does art influence the city and how does the city influence art? People delved into conversations that were by turns animated, witty provocative and engaging. 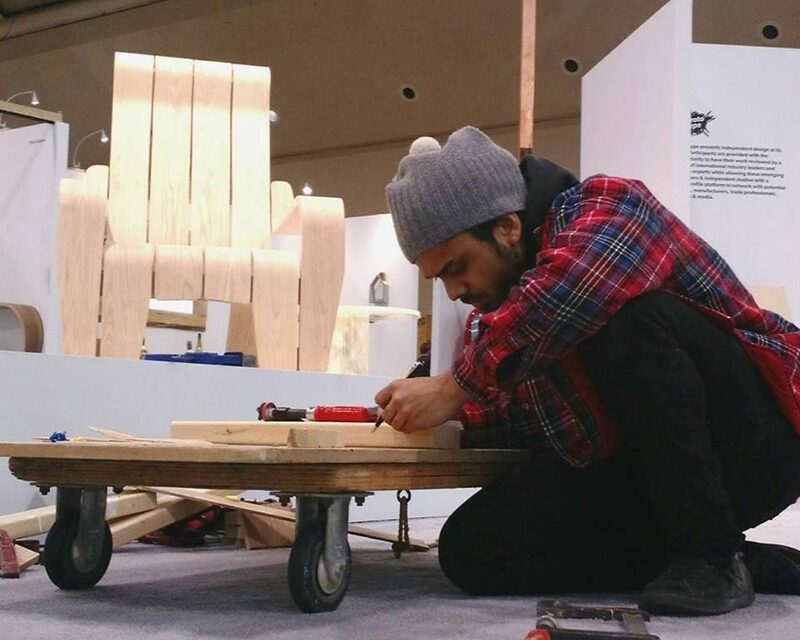 People took the action to social media, sharing the fun and inspiration beyond our four walls. See your side of the story and all the social media action on Storify. To wrap up the evening, we were fortunate to have talented musical performer Clara Venice take the stage. She enchanted the audience with “holo-glamorous” projections and a first-hand look at the Theremin in action. No soiree would be complete without some gift-bag swag. We’re immensely proud that one of this year’s Featured Guests, Gary Taxali, won a Society of Illustrators Award for his Salon 2015 poster (congrats Gary!). He generously designed another remarkable poster this year and autographed them for guests as they headed into the balmy night, buoyant with creative ideas and seeing the city anew. 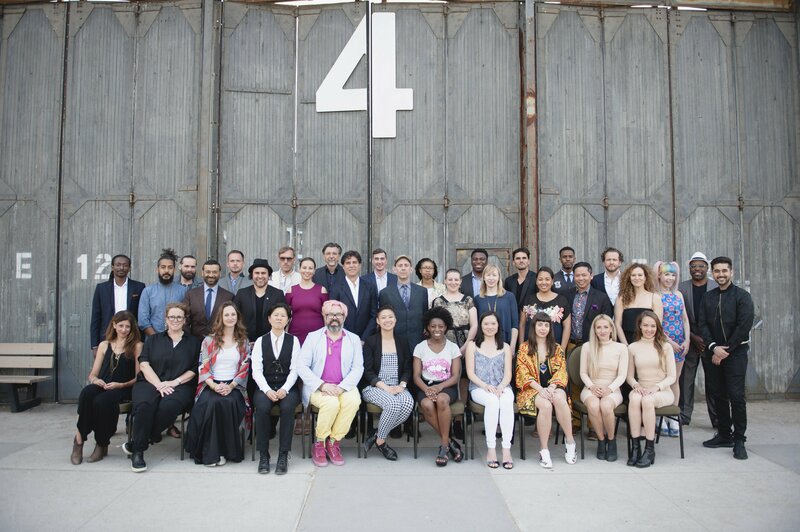 We want to thank our 32 Featured Guests for participating in this event and so graciously sharing their creativity, ideas and stories, and our wonderful volunteer Salon 2016 Committee, who dedicated their time and energy to make this sell-out event a pleasure for all. By the time the final gong echoed, guests were full, happy, inspired and ready to enjoy a charming picnic-styled dessert – Marben‘s famous ice cream sandwiches. 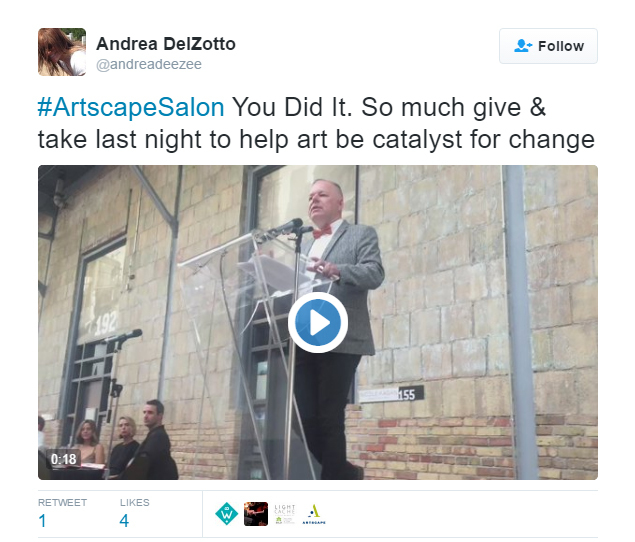 Thank you again for supporting Artscape by attending Salon. 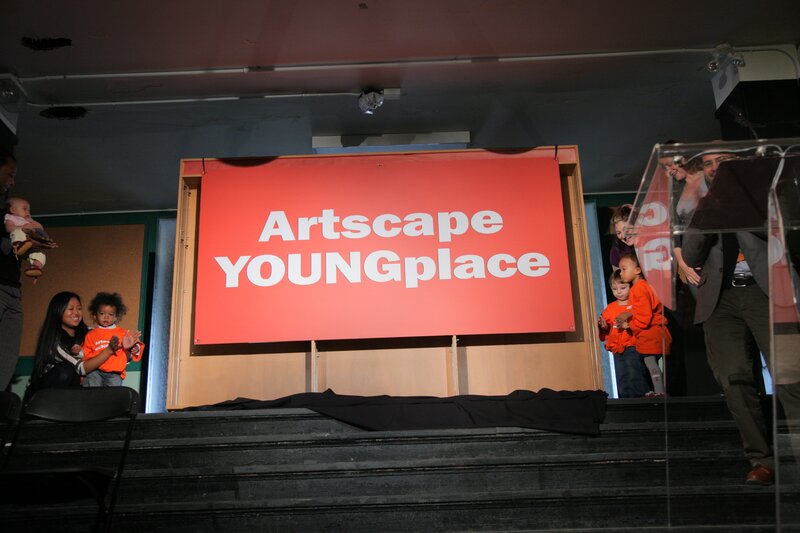 We hope you had a fantastic time, and look forward to engaging you in other Artscape events, projects and fundraising initiatives in the future.